Stylish, practical and also decorative, these lovely Boxes will become extremely useful. All are a substantial size perfect for keeping those important things in order. 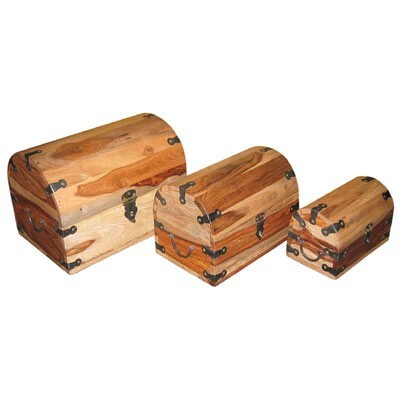 Made from solid Sheesham wood (also known as Indian Rosewood) finished with metal handles, decorative edges and locks. Exact grain and colouring will vary from piece to piece.